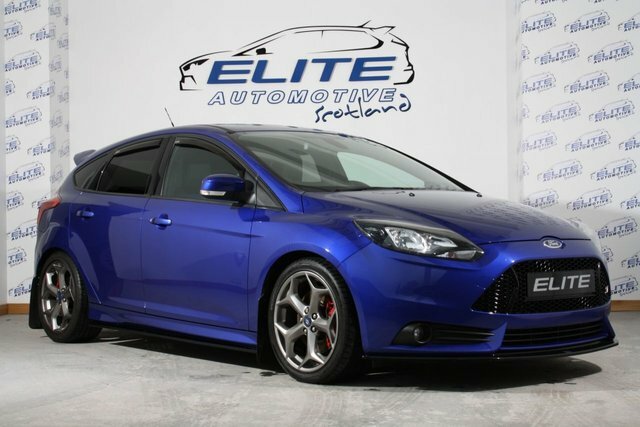 Elite are delighted to offer to the market this immaculate Focus ST-2 Finished in Spirit Blue with Full Ford Service History and only 27000miles on the clock! Factory options: ST Style Pack Modifications: Mountune crossover WITH GROUP A FILTER , Mountune Springs, Maxton Front Splitter and Side Skirts - A STUNNING EXAMPLE NOT TO BE MISSED!! CALL TODAY TO ARRANGE A TEST DRIVE!! ALL OUR CARS ARE AHND PICKED AND HPI CLEAR ENSURING COMPLETE CUSTOMER SATISFACTION - WE ONLY SELL CARS WE WOULD DRIVE OURSELVES! !